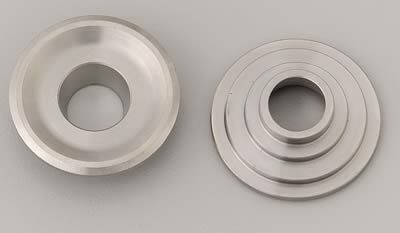 Titanium, 10 Degree, 1.550 in. O. D.
these retainers are excellent for all types of racing. 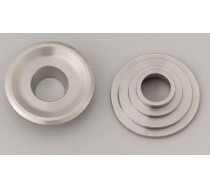 Outside Diameter of Outer Spring (in) -- 1.550 in. Outside Diameter of Middle Spring (in) -- 1.120 in. Inside Diameter of Inner Spring (in) -- 0.730 in. Notes: Adds 0.100 in. to installed height. These retainers work well with the Comp 938 and K-Motion K-950 springs.